Is Asking for a Diaper Potty Training Regression or Toddler Constipation? Many toddlers do great with potty training except for going number two. It is perfectly normal for some toddlers to use the toilet for peeing, but to request a diaper for pooping. Going poop requires a lot of a child—more muscle control, more patience, more body awareness, and more emotional readiness. It’s amazing that a child can find an alternative that works for them until they are more comfortable with this new complicated task. Is it Potty Training Regression? There is a old mother’s saying: “You can begin potty training at age one, and end at age three. Or begin at age three and end at age three”. Essentially, potty training for most children is a long process that comes in small steps — sometimes forward and sometimes backward. Acknowledge their efforts, even when your toddler asks for a diaper. Accept your child’s timing —pushing them will be counterproductive, especially if your child is sensitive or wants to be in control. Be patient and limit the pressure coming from you. Realize that they may need to use a diaper for several weeks or even months before they are ready. Stay positive and acknowledge their efforts. Just knowing that they need to go is a part of the process. Try saying, “Thanks for telling me you need a diaper.” Let them help you (carefully) put the poop from the diaper into the toilet and flush it. This gives them some control over the process. 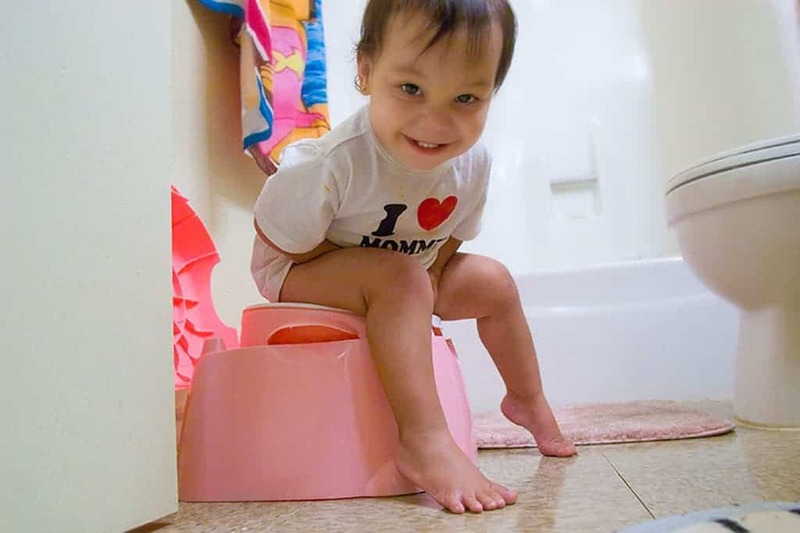 Some children may have a fear of ”letting go”, they may even feel that they are losing part of themselves when pooping. Help them to relax and stay calm. Feeling tense will only make it more difficult resulting in toddler constipation. Remember that doing number two is one of many transitions for a young child, and change isn’t easy for them. Letting go of our own anxieties about this and not comparing our child’s progress to any another child’s will definitely relieve the tension for both you and your child. Ironically, success will come more quickly if we don’t push.